Climbing High is the first in The Three Wise Men series by Madelon Smid. The author stops by today for a guest post on the pros and cons of writing a trilogy. You can also enter the giveaway for a chance to win a copy of the book. Billionaire Jake Ingles is the media's golden boy. The cameras love his fabulous face and form, his high-powered business deals, and daring adventures. On a mountain in France, Jake saves the one incomparable woman he'll love for the rest of his life, but his fame places her beyond his reach. Siree McConnell, forensic accountant, chooses to live anonymously to avoid the press that caused her father's death. She refuses to tangle with the gorgeous male if it means stepping back into the spotlight, until he needs her help. Once she uncovers the thieves threatening Jake's conglomerate, she gives in to her longing to find ecstasy in his arms. But the cost of being with him is exposure to the media and an enemy that tears them apart. Now she has a new rescue mission: their relationship. For he will do anything to keep her safe, even walk away. It's up to her to show him their love is worth any risk. I was looking for a fun, easy read and found I had a story that was both entertaining and educating. I learned a lot about climbing and had some chilling moments during a couple of the climbs. I liked the more 'realistic' conflict. So many romances have the main characters misunderstanding something that a 30 second conversation could clear up. It had a nice complexity of geography, business, friendships, sports, suspense and romance. The tension in this book makes sense and adds to the story. The Pros of writing a trilogy are obvious. If I do a good job in the first book, not only enticing my readers to invest in my male protagonist, but in interesting them in his two friends, then I have readers eager to read two more of my stories. I also have a beginning for book two and much of the groundwork around my protagonist in my second and third book in place. Born and raised in small town Saskatchewan, Madelon Smid is a child of the prairie and truly at home when the sky makes up two-thirds of the landscape. A sixth generation Canadian, she takes pride in her country. She studied Interior Design at the University of Manitoba, married and moved with her husband, a pilot and Air Traffic Controller, to Swift Current where she worked as Design Coordinator for a large department store. They raised their son and daughter in Saskatoon, then lived in Winnipeg, until they built their dream home on a large lake in Saskatchewan. Writing from the kitchen table with toddlers playing beneath, Madelon sold her first contemporary romance, Star Bright to Zebra’s Lucky In Love line, eons ago. She served as President to the Saskatoon Writing Group and co-chaired many writing conferences and workshops to help other writers. When a subject sparks her imagination she goes after the details, delighting in finding answers to her many questions. 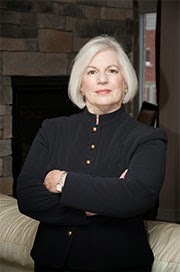 Madelon is the co-author of National Bestseller, Smart Women: Canadian Entrepreneurs Who Make Money, MacMillan Canada; and the revised updated, Smart Women Get Smarter. She has spoken to the media and entrepreneurial groups across Canada on maximizing output through meshing the needs of small business and the needs of the entrepreneur. The huge success of Smart Women led Madelon into a career in nonfiction. Her articles appear in a wide range of national and regional periodicals. She influences others to draw from their potential to contribute to the whole. Madelon returned to her first love, romance, this past year, writing and selling Climbing High to The Wild Rose Press in New York. She is working on the second book in a trilogy and hopes to have High Ground in her readers’ hands next spring. Enter the giveaway for a chance to win one of two ebook copies of Climbing High by Madelon Smid. The Kindle edition of Legacy of Krazatan - Book I: A Hero's Birth has just been released. The author stops by today for an interview, and you can enter the giveaway below for a chance to win an ebook copy of the book. 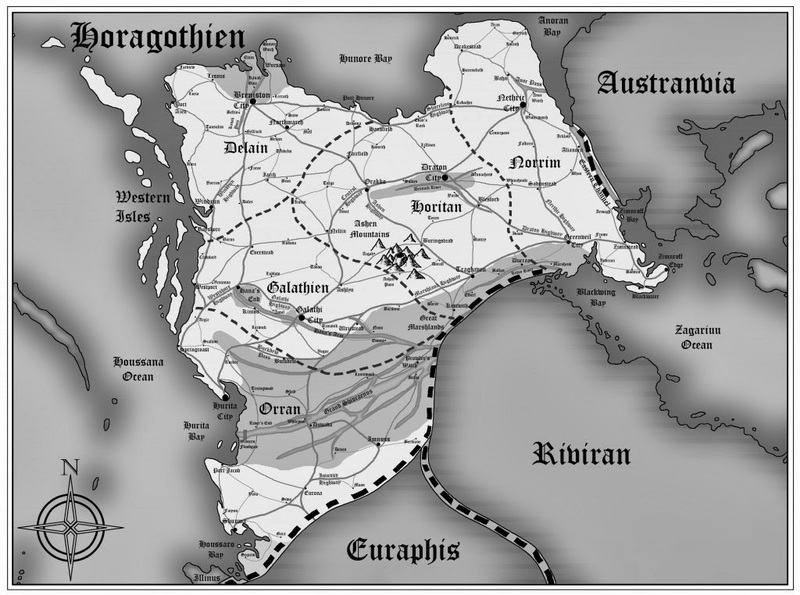 You can also enter the Goodreads giveaway for a chance to win a signed paperback copy as well as a laminated 8.5" x 11" map of Horagothien, the nation in which the first book takes place. In years long passed, in an age that no living person remembers, there existed a land called Pangaea, a colossal continent surrounded by endless ocean and home to giant creatures of all shapes and sizes. But among these creatures was a small species that ruled the land more firmly than any beast: mankind. The tribes of men banded together to create a glorious empire in the land of Pangaea, one that would withstand the test of time. Their cities covered the land, and their towers touched the skies. They built weapons that could down the strongest of beasts, and ships that tamed the wildest of seas. However, at the pinnacle of their success, something happened that no one could have foreseen. One day five dragons of unimaginable size and power appeared and ravaged the land. In their wake, volcanoes erupted, storms raged, and blizzards engulfed the world. The days were showered with light bright enough to scorch the skin in seconds, while the nights were filled with a darkness that devoured all that it touched. These dragons, whose powers held sway over fire, thunder, ice, darkness, and light, became known as the Arch Dragons. Entire armies were wiped out in mere seconds by their immeasurable strength, cities destroyed in a matter of days. In the short time after their arrival the Arch Dragons reduced the population of man by the thousands. Try as they might, mankind could not stand against these terrible beasts. Those who were brave enough to fight were swiftly killed, and those who feared death fled to the west as far away from the destruction as they could, seeking refuge in one of their great cities. The dragons raged unrelenting for decades, destroying all that stood in their path. Soon they began to make their way toward the city in the west. But as the five beasts loomed over mankind’s last bastion, a flock of winged guardians descended from the sky. These angels possessed the strength to rival even the greatest of armies, and wielded mystical powers fit for gods. The angels and dragons engaged in a savage battle that rocked the very foundations of Pangaea while mankind watched in awe. Days dragged on into months, months into years, yet neither side showed signs of losing ground. Then one day the clouds of war parted and a grand archangel wielding a mystical blue blade descended from the skies. The name of this great figure was Terralus, the Knight of Order. It is said whoever wielded his holy sword, the Tenjin, was granted the powers of the Arch Dragons themselves. With the help of his blade, Terralus turned the powers of the Arch Dragons against the titans, and one by one they fell. Men and women cheered for the long-awaited end to the battle. After decades of terror and uncertainty, mankind once again stepped foot outside the confines of their city, and into the vast world they had once lost. From that day forward the other angels remained to protect the now fragile race of man. The road to recovery was long as the remnants of mankind began to rebuild what had been destroyed by the rampaging beasts. The city, their last haven during the reign of the Arch Dragons, grew into a glorious holy city that would stand as a reminder of the miracle that had been their salvation. The city came to be known as Tenjai, and it was there the angels resided along with the Knight of Order’s most holy sword. Sadly, their time of peace was short-lived. Even in death the legacy of the five dragons lived on, and a new threat to Pangaea arose. The uxlians, demons spawned from the chaos left in the wake of the Arch Dragons, appeared and began to prey on the weakened race of man. They bore the bodies of men, but their minds were as feral as rabid beasts. Even the weakest uxlian possessed the strength of ten men. These soulless creatures were a blight on the recovering land of Pangaea as they destroyed crops, razed homes, and slaughtered the innocent. The angels soon intervened to quell the madness of the blood-thirsty beasts, but no matter how many uxlians they slew, more would always appear in their place. It wasn’t long before the clouds of war began to settle on Pangaea once again, and battle raged throughout the land for centuries to come. As the struggle went on the memories of the destruction caused during the reign of the Arch Dragons began to haunt mankind. They began to fear what would become of them should the uxlian blight continue. They pleaded with the angels to allow them to use the power of the Tenjin to destroy the creatures before their numbers grew too high. Unfortunately, the angels refused their request, claiming that mankind was not worthy to touch Terralus’ holy blade. Mankind’s fear soon turned to anger, and they became furious with the angels for holding back such a powerful weapon. The Holy Knight used the sword to slay the Arch Dragons and protect all of mankind, so why wouldn’t the angels let the humans use its powers to destroy the uxlian threat once and for all? Since the angels wouldn’t hand over the Tenjin, mankind decided to take it by force. 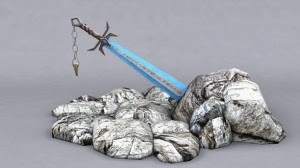 In order to keep the sword out of the hands of man, the angels took it from its sacred resting place in Tenjai and hid it away. At that moment mankind was sent over the edge, renouncing their alliance with the angels and hunting them down for their betrayal. From that day on, Pangaea became the battleground for a war among three great forces: man, angel, and uxlian. The war raged on for one thousand years, until neither side remembered what it was they were fighting for. Hatred was the only thing that fuelled their ancient feud, as every day hundreds gave their lives to the war without a second thought. The bodies of man, angel, and uxlian alike littered the face of Pangaea, and for no better reason than hatred for each other. One day during the strife, a strange eclipse appeared that bathed the world in a crimson glow. The spirits of the five Arch Dragons, who had been dead for a millennium, rose once again. They did not ravage the land as they had during their first appearance in Pangaea; something far worse than anyone could have imagined happened instead. The spirits of the five massive dragons fused together under the eerie light of the eclipse. From them a great and terrible being was born: Krazatan, the Chaos Dragon. The celestial dragon let loose his terrible power and plunged the world into chaos. From the sky, tornadoes descended and left nothing but devastation in their wake. From the sea, tidal waves rose and consumed the shores. From below, earthquakes swallowed all in their path into the vast depths of the planet. Krazatan, the divine dragon that had plunged Pangaea into such a horrible state, loomed over the land and watched as entire nations were swept up into the tides of chaos, leaving nothing behind but ash and memories. Neither man, uxlian, nor angel could stand up against this terrible entity, and it was at this time all the races of Pangaea realised the pettiness of their bitter war and banded together. Mankind ended their strife with the angels to stand together in their darkest hour, and even the blood thirsty uxlians understood the severity of their situation and offered a truce. The three races of man, angel, and uxlian sought refuge in the safest place they knew, the holy city of Tenjai. It was there they prayed. They prayed for mercy, not only for themselves but for their world that was slowly tearing itself apart. They prayed for Terralus, their most holy Knight of Order, to descend from the heavens once again and free them from this calamity. They prayed, because it was all they could do. As Krazatan’s powers consumed the land and began to descend upon the holy city of Tenjai, the prayers of all men, angels, and uxlians were answered. A great light appeared from the mountains like the rising sun, and down came an angel child to protect the denizens of Pangaea. He held in his hand the archangel’s legendary blade, the Tenjin, which had been all but forgotten during the course of the Thousand-Year War. It is said his father was the Knight of Order. The archangel descended from the heavens in secret one night to pass his miracle on to a simple peasant woman, so that she may give birth to his son. With the blood of the most powerful angel in all of creation flowing through his veins, he alone possessed the might to stand up against the Chaos Dragon. He was Rekai, the Holy Son of Order. With his father’s holy blade in hand, Rekai did battle with the divine dragon. 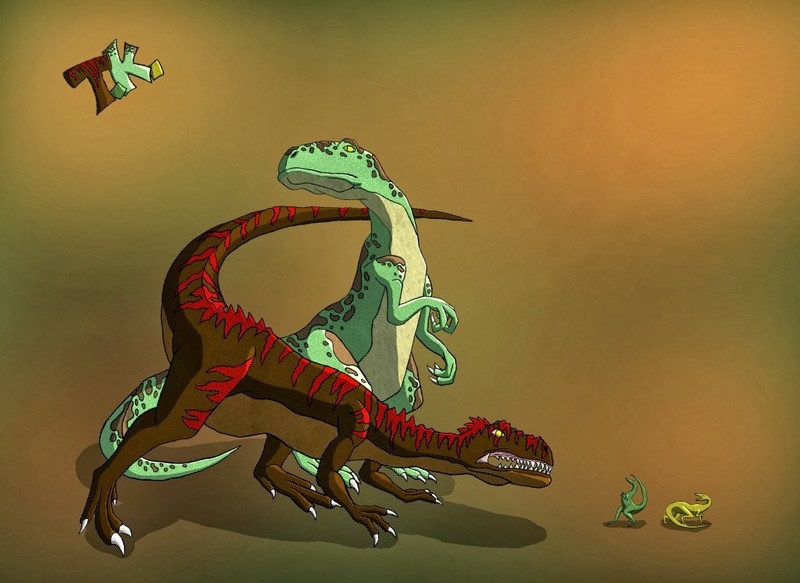 It was a battle so fierce that it changed the very landscape of Pangaea. Mountains rose from the mighty quakes of their attacks, and craters formed that water would later fill and create lakes and bays. It is said the battle was so fierce, so terribly devastating, that it caused part of Pangaea to sink into the depths of the ocean. The fear was this fight between deities would destroy the world. But as fate would have it, Rekai prevailed and struck down the mighty dragon god Krazatan. The Chaos Dragon’s last words were, “Though my body is broken, my spirit lives on. As long as there is strife, I shall return. All that is created must return to the void. It has been the way of things for eons. Worlds are created then destroyed to make room for new worlds. Your world is but a stage in the cycle, a cycle that must go on. I am the Creator and the Destroyer. One way or another, my will shall be done.” With his last breath the dragon vanished. His body split back into the five pieces that once gave him life. The people of Pangaea rejoiced, as once again their world was spared. Unfortunately, Rekai, who fought so gallantly to protect the world and its inhabitants, died along with Krazatan. Though his father was indeed the Knight of Order, Rekai’s body was as mortal as any other man’s and thus unable to handle the immense power of the holy sword for so long. But just as it was for Krazatan, Rekai’s spirit lived on long after his body shattered. From the heavens he and his father continue to watch over the people of Pangaea, protecting them from afar. If what the Chaos Dragon said was true, their strength would be needed once again. This book is aimed at a young adult/adult audience and is not suitable for younger readers due to some bad language and scenes of a somewhat violent nature. There is quite a lot of world building in this book, especially near the start. It didn't matter too much as this is the first book in the series and is to be expected. Each part of the world building is interesting and short enough too avoid becoming boring. Most of the time the way that it is told seemed natural although a few times it felt a little clunky. Also with the amount world building at the start, it was hard to retrain some of the information; fortunately the author provides small reminders later in the book when it becomes relevant. On the whole the pacing is excellent, moving along fast enough to keep the story interesting, but spending enough time on each part of the story and having necessary slower moments as well. The descriptions are excellent as well, there is plenty of detail to allow the reader to visualise the world, but not so much that the story begins to drag. Overall I would rate this as an excellent book, 4½ stars. It is an interesting story that is different enough to make is somewhat original. The characters are excellent, and the world setting is exciting and original, especially the animal species that are in it. The many threads are written very well as are the descriptions. It was just missing that special something that would have made it a perfect five star book, but still this was an excellent story, that is well worth reading and I will be on the lookout for the next book in the series. Hi Tylor, thanks for joining me today to discuss your new book, Legacy of Krazatan - Book I: A Hero's Birth. As of right now, my main influence comes from Anne McCaffrey's Dragonriders of Pern series. I find her style of writing easy to understand, yet still compelling, and I love the sense of discovery I feel when the characters of her books start to rediscover the history of their people and the technology that was forgotten long ago. However, if we're talking about what inspired me to start writing in the first place it would have to go to Christopher Paolini's Eragon. I read it as a child and enjoyed it, and when I discovered the author was around the same age as me it got me thinking, "If he can write and publish a book at such a young age, maybe I can, too!" It wouldn't be until years later when I finally got my book published, but it was what started me on the right track towards that goal. I was aiming toward a young adult audience mostly because I wanted free reign on the subject matter and tone of my book. There's violence and some swearing, but nothing that would warrant an "R" rating. I feel kids in their mid to late teens would be safe reading my work. In all honesty, there's a hell of a lot worse they could be watching on T.V. There are two things that I can say to this question. The thing that sparked my idea for writing the series as a whole was a picture I drew in the back of my high school binder of a sky-blue sword that I would later name the Tenjin. I just liked the look of the sword, so I started drawing different variations of it and ended up writing little stories that revolved around it. There was a second spark I had while I was in college just as I was re-exploring this story idea I've been developing since high school. Most fantasy novels usually have a similar wildlife structure that's present throughout most of the genre, namely dragons, unicorns, and anything else that would come to mind when you think of fantasy. I asked myself why I need to use the same ideas for my book, so I instead decided to explore a fantasy world where the main source of wildlife consists of giant reptilian creatures that resemble our idea of dinosaurs and see how a medieval society might adapt and revolve around it. I think the idea for the novel comes first. I built my world first, created the geography, populated it, and gave it history. I then form the character's story around it. I feel if there's a stronger foundation for the book's world it leads to more interesting and believable conflicts for the character to face, as opposed to creating the character's story first and forming the conflicts around it when it's convenient. It's been a couple years since I finished writing the book and started sending it off to publishers, so it's hard for me to remember. My main obstacles stemmed from just the writing in general, namely writer's block, time, and holding my attention long enough to come up with good material. I always plan out my book's plot path beforehand, so when I'm writing that first draft it's just a matter of getting the characters from point A to point B and filling in the blanks along the way. I just hope they enjoy reading it. Even if it's just for a short time, if someone reads my book and it makes their life just a little more enjoyable then I feel I have done my job as a writer. Our world seems to be going through a time of uncertainty with political and cultural issues as well as the conflict that stems from the rapid discovery and development of new technology, and right now I feel morale is very important to our race as a whole. It took a year and a half to write this first book, another year to get it through the whole publishing process, and almost a decade beforehand of exploration and experimentation of story ideas, mechanics, and plots. I usually wake up whenever my cat starts bugging me to feed her, which is usually around 7 to 8am. I have breakfast, get on my computer and start writing. Around 11am I stop to do a bit of exercise, mainly to stretch and work my lower body since years of inactivity has led to a few leg and back pains. After that I have lunch and get back to work. I usually try to keep working until 3 to 5pm in the afternoon. When I was sending my manuscript off to publishing houses, and having very little luck in the process, a friend of mine from college told me about a friend of his who got her book published through a publishing service called the Strategic Book Publishing & Rights Agency (SBPRA). I did a little research on them to make sure they were on the level, and when I was satisfied I sent them my manuscript. Within the week they sent me back a contract. Fantastic! What advice do you have for someone who would like to become a published writer? I have three pieces of advice. First, just do it. The difference between just wanting to become a published writer and actually becoming one is the amount of work you put into it. It's not going to come easy, so if you really want it you're going to have to put in the effort to make it happen. Second, always read the fine print. If you are lucky enough to be offered a contract by a publishing house, take a moment to look past all the glamor and excitement and really study it. Make an appointment with a lawyer and have him/her look over it. Your first publishing contract may very well dictate the future of your book and your career as a writer, so you need to know it inside and out before you agree to sign anything. Lastly, always have something to work on. The publishing process is very lengthy. As I said earlier, it took a year for my book to get through the entire publishing process before it was ready to put on Amazon. If you plan on making a career out of your writing, then you'd better have other projects lined up while you wait. Even while you're still sending out your first manuscript to publishing houses you should be getting started on your next book. I like to play video games. The games I'm currently playing are Skyrim, Minecraft, Planetside 2, X3 Albion Prelude, and Sid Meier's Civilization V.
When they first found out about it they were extremely surprised, since in school English was the class I hated the most. My parents are very proud of me now that I have my first book published, and while they're constantly pushing me to find a full-time job while I'm waiting for my writing career to take off, they're still very supportive. I grew up during what most people consider the golden age of gaming. The earliest gaming console I remember owning was a Sega Genesis, and I remember my grandparents having an original Nintendo Entertainment System that my sister and I would play on after school while we waited for our dad to pick us up (our schools were just a few minutes' walk away from our grandparents' house). One of the happiest memories I remember was opening a large present one Christmas morning to find a brand new Nintendo 64. My favourite games were The Legend of Zelda: Ocarina of Time/Majora's Mask, and Banjo Kazooie/Tooie. My childhood revolved around video games. In fact, I learned how to read by looking through Nintendo Power magazines. I would always finish all my homework while I was at school so I could have more time to play video games when I got home. My mom always tells me that the reason I started writing my story was because it was an idea I wanted to use to make a video game, though it was so long ago that I've completely forgotten that was the reason. There were a few problems during my childhood, namely with mental disorders. At a very young age I was diagnosed with A.D.H.D. and Dyslexia, though last year we found out it was actually high-functioning autism, namely Asperger's Syndrome. I had a hard time understanding certain social rules, I had very few friends, and I spent most of my time alone. I wouldn't say it was a bad childhood, in fact most of my memories are happy ones. However, the nature of my disorder has led to much strife and misunderstandings. Regardless, I see my autism as a gift rather than a curse. Without it, I don't think I would have been able to write this book in the first place, and at such a young age. How many people can say they've had a full-length novel published at the age of 23? Thanks for sharing that, Tylor. Did you enjoy school? Meh, school was school. I did the work I was given and finished it all as soon as possible so I could have more time to play video games. The most enjoyable part of high school in particular was going to the learning resource room during lunch and my spares to write my stories. The greatest experience I had of school has to be when I went to Japan for an exchange student program. I stayed there for seven months. It was supposed to be ten, but I got homesick and wanted to come home earlier. Depends on what the book was. I wasn't much of a novel reader until I discovered Eragon in high school. Most of my childhood reading came from Nintendo Power magazines, which, as I've said earlier, was how I first started learning how to read. Again, it was when I discovered Eragon. If someone as young as Christopher Paolini could write a book and get it published it gave me hope for doing the same myself. I went through a strange phase during college where I forgot about writing professionally since I was studying to make video games. Since I grew up playing video games and loved them so much, I thought I wanted to make them for a living. However, it was during the last year or so of college when I rediscovered my love for writing. I thought I wanted to create video games, but I realised I just wanted to create. So, I changed my focus to writing, and a year and a half later I got my first book published. To some degree I suppose they did. My childhood revolved around video games, so when I first started writing in high school it was for an idea for a video game. Later that idea turned into a book. It's still very early in my writing career right now so I don't have much of a fan base. However, the people who have read my book and have taken the time to review and comment on it have all had positive things to say. I like getting feedback on my work, so it feels good whenever someone compliments my work. It also encourages me to work even harder on my next book. That's great! What can we look forward to from you in the future? You can look forward to around 8 more books in the main series of which this book is the first. I will also be writing side stories that play off of some historical figures in my story's past and show their stories and how they've shaped the book's world to what it is in the main series. When the main series wraps up I also have plans for a sequel series that will pick up 500 years in the future, though the details of that are a secret. Thanks so much for stopping by today, Tylor. It's been very interesting. Best of luck with the rest of your series. 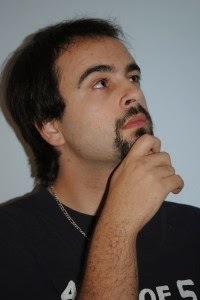 Tylor Kranyak is the author of the Legacy of Krazatan series. He is 23 years and lives in Hamilton, Ontario. The first book in the series, A Hero's Birth, was published through the Strategic Book Publishing & Rights Agency (SBPRA). Tylor recently graduated from Humber College in 3-D animation. Enter the giveaway for a chance to win an ebook copy of Legacy of Krazatan - Book I: A Hero's Birth by Tylor Kranyak. The Best Game by Hebby Roman was released in November 2013. The author stops by today for a guest post about writing contemporary versus historical fiction. You can also enter the giveaway to win an ebook copy of the book. Also available: The Best Bet. Plus, The Princess and the Templar, mentioned in Hebby's guest post below, is FREE to 1 February. Leaning against him, she put her head on his broad shoulder and gazed at his profile. He lowered his head. Their lips were a mere two inches apart, if that much. This was known as the defining moment. But she didn't want it, didn't want him to kiss her. Not now, maybe never. She pulled away and skipped ahead, hurtling down the steep, stone-carved stairs. Stopping, she waited for him on the walk in front of the exclusive hotel La Maision. When he joined her, she offered her hand. He grasped it, and she fought the feelings coursing through her. She tried to ignore the touch of his rough, male flesh against hers, tried to disregard the pull of his masculine appeal. Her feminine needs, long suppressed, clamored like a Hydra monster, threatening to gobble her up. She struggled to sort out her confused feelings and reversed her earlier decision. She wanted to kiss him, because she needed to know what this crazy attraction was about. Too much tequila, maybe? Reaching up, she curled her arm around his neck and forced his mouth down to hers. At first, he seemed startled by her blatant approach. He hesitated and his lips merely grazed hers. But then he warmed to the task. His mouth moved over hers, warm and supple, molding to her lips. His hands came up, cradling her head. His mouth was like hot velvet against hers, his lips firm and moist, searing her senses and heating her blood. Moving with infinite care, he made a song of their lips pressed together. With each fraction of a second, she expected the questing thrust of his tongue, demanding access, suggesting intimacies she didn't care to share. But he surprised her, his tongue slid over her lips, worshipping their contours but not demanding to get in. It was a full kiss, a kiss of heated and moist flesh, of wonder and awe, of reverence and carefully controlled passion. It was a kiss that was hot and tender and cherishing, all at the same time. It was a kiss she would never forget because she'd never experienced anything like it before. This was her first kiss ... Her first real kiss, she realized with a sense of awe. Not that she hadn't been kissed before. She'd been kissed many times, too many times. But the kisses had been meaningless, a predictable prelude to seduction. When they were both breathless, they parted and gazed deep into each other's eyes. Taking each other's measure again, a new awareness suffused them, along with a grudging respect. He circled his arm around her waist again. She followed suit. "Let's walk," he echoed her earlier request. "Finish telling me how you started modeling." And weak fool that she was, grateful for a kiss that hadn't been a prelude to anything other than the simple pleasure it gave, she did as he asked. The twins (Damian and Rafael Escobedo) sometimes try to emphasize their differences, but in the final analysis they always end up twins ... in this case, Damian exhibits deftness and dexterity (as well as clumsiness and doltishness) in pursuing a drop-dead gorgeous girlfriend ... author Hebby Roman is always at her best describing the up-and-down of human emotions in a relationship - and here she nails it again. Contemporary or Historical or Why Not Both? Recently, I was asked in a blog interview that since I wrote both contemporary and historical romance, which did I like to write best? And to that question, I replied: "Unfair question, unfair question!" It is an unfair question because it's very difficult for an author to tell you which one of her "babies" that she loved writing the most. My first love and what I like to read when I'm not reading romance is history. So naturally, I started out writing historical romances, and my first four books were set in the nineteenth century. But when I had the opportunity to write the launch title for my publisher's now-extant Latino line, I jumped at the chance and wrote my first contemporary romance, Summer Dreams. Since that time, I've written five more contemporaries and a medieval that was just released by The Wild Rose Press, entitled The Princess and the Templar. And to be fair, there are aspects of both kinds of romances that I enjoy writing. With historicals you get to take your readers to a place and time far away and long ago (sounds like a good movie title, don't you think?) and do some world building. You learn and write about the culture of the time, how your characters would dress, how they spoke and any other details that will make the romance more realistic for the reader. And then there's the length, which could be a good or bad thing, because historicals are usually about twice as long as contemporary romances. That means you have more pages to fill, but it is also a great opportunity to fully explore the external conflict or plot and/or to flesh out your secondary characters that might appear in a sequel. When writing contemporary romance, your research is minimal, but you definitely need to be plugged into what's new and "in" today. You need to modulate your author's voice to convey an up-to-date tone and hip sensibility. This may sound way easier than recreating a time and place in history, but today's culture and fashions move so fast that sounding cool can be quite a challenge. Then there's the page count, which is shorter and can pose the problem of giving an author adequate time to devote to the heroine and hero and their internal conflict, much less inserting a viable external conflict within the allotted pages. So, which is my favorite? Why not both? I love writing contemporaries for very different reasons than historical romances but that doesn't mean I like one better than the other. In fact, I believe that moving back and forth between the two sub-genres helps to keep my perspective fresh while challenging my author voice to grow and mature. 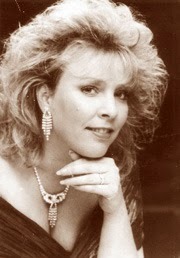 Hebby Roman is the author of eight print published romances: four historical romances and four contemporary romances. Her first contemporary romance, Summer Dreams, was the launch title for Encanto, a print line featuring Latino romances. 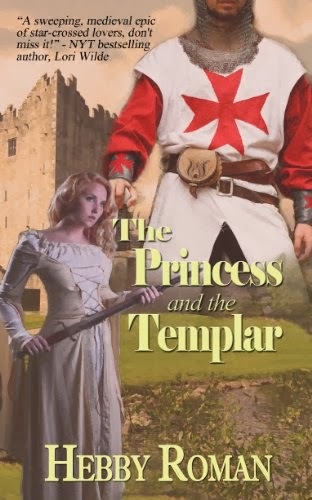 The Wild Rose Press will be publishing her latest historical, a medieval romance, entitled The Princess and the Templar. Hebby is a member of the Romance Writers of America, and the past president of her local chapter, North Texas Romance Writers. She was selected for the Romantic Times "Texas Author" award, and she won a national Harlequin contest for her "chick-lit" entry. She graduated with highest honors from the University of Texas in Austin with a Master's Degree in Business Administration. She was selected for inclusion in the first edition of Who's Who of American Women. She is blessed to have all her family living close by in north Texas, including her family's latest addition, her granddaughter, Mackenzie. Hebby lives in Arlington, Texas with her husband, Luis, and maltipoo, Max. Enter the giveaway for a chance to win one of two ebook copies of The Best Game by Hebby Roman.